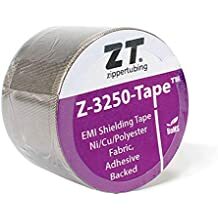 Snap Grip Clear - Lightweight Jacketing - Wire And Cable Bundling - Products - ZT | Zippertubing Co.
All Snap-Grip® products are an excellent solution for your application when re-entry and cable or wire breakouts are necessary. Snap-Grip® (Clear) is a clear, cut to length, lightweight cable management solution great for those who not only desire an economical solution, but also want or need to see their cable or wire bundles. Jacketing of this product is made of Polyvinylchloride (PVC), while the snap-closure buttons are made of Nylon. 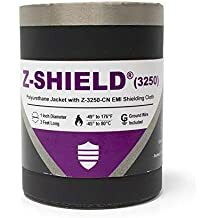 Simply press the snaps closed for a secure covering on any wire or cable bundle. The snap-button design will stay closed and protect your cables in high flexing applications, yet remain easy to close and re-open when necessary. Since no tooling is required for installation, Snap-Grip® (Clear) is ideal for general cable management applications in your office, at home, or in commercial or industrial locations. Standard roll lengths of this product are sold in 164 feet; however custom solutions and lengths are available. The choice is clear, Snap-Grip® (Clear). Snap to film Strength 11 lbs.